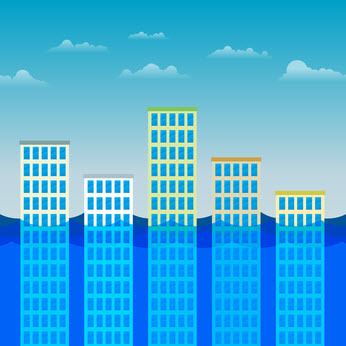 Office buildings water damage and indoor flooding is one of the worst things that can happen to an office building. Water damage can cost a business millions of dollars in destroyed infrastructure, broken equipment, lost records, functional stoppage and human health issues. Your office might have sustained a burst pipe or leaky pipes. If you have had recent flood water in your NJ NY workplace, you’ll want to start water damage restoration efforts right away. AllStates Restoration is your right choice for company. We specialize in the quick removal of water from your office space and the building’s immediate return to exceptional form. 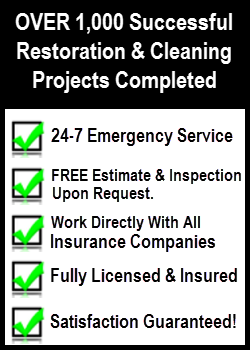 With years of experience and a higher level of knowledge in our portfolio, we can guarantee your satisfaction on practically any water damage restoration project we handle. 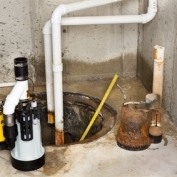 [wc_box color=”secondary” text_align=”left”]Flood Source Identification — If the source of the water intrusion is unidentified, our water damage specialists will take steps quickly to discover it. These will shut off the source for you and get the circumstance under control in a hurry. Water Damage Assessment — Once water stops rushing into your office, our crew will assess the degree of the damage and map out the influenced locations. The scope of work and the price quote will be according to how much water damage we are looking at. Flood Containment — Using plastic sheets, we’ll block off water and moisture movement in your office. This prevents further damage from taking place and it also stops the spread of microorganisms and fungi within your work environment. Water Removal in addition to Dehumidification — This is the part from which our equipment draws away all the water that is flooding your office. Once that’s done, we’ll bring in powerful dehumidifiers to get rid of additional moisture that’s hanging in the space. Dis-infection / Sanitization — Floodwater is unsanitary and it will certainly leave a moldy smell if your office isn’t sanitized. We’ll make sure that does not take place since we will use disinfectants that are tough on germs, but easy on your office. By the end of this procedure, your office will not only look clean, it will smell clean, too. Content Assessment and Restoration — We’ll examine carpets, rugs, furniture and appliances that were caught in the flood and we’ll see whiches can be salvaged and which ones have to be disposed of. Our crew is particularly good at salvaging products that appear like they are beyond repair. With genuine care and lots of effort, we will do our best to restore most of what you thought was lost. Water damage gets worse the longer that you wait on it. Call allstates now and get a free assessment and quote. We’ll deploy a AllStates crew to your building right away and they will assist you get started on getting back to business. For basic questions, you can also go to our Contact Us web-page and leave us a message. Call AllStates Restoration today to get help from our experience team. You can also contact-us at our contact page. For all your Office Buildings water damage Repair, Cleanup and flooded basement water removal needs in the NJ NY area, trust AllStates Restoration to get the job-done right fast. 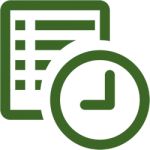 To schedule office buildings water damage restoration appointment, call 888-651-2532 or click here.